What's The Cheapest Rental Available In Mission Bay, Right Now? Need a budget-friendly new spot? Though apartment hunting can be challenging, don't despair just yet--there are deals to be had. So what does the low-end rent on a rental in Mission Bay look like these days--and what might you get for the price? 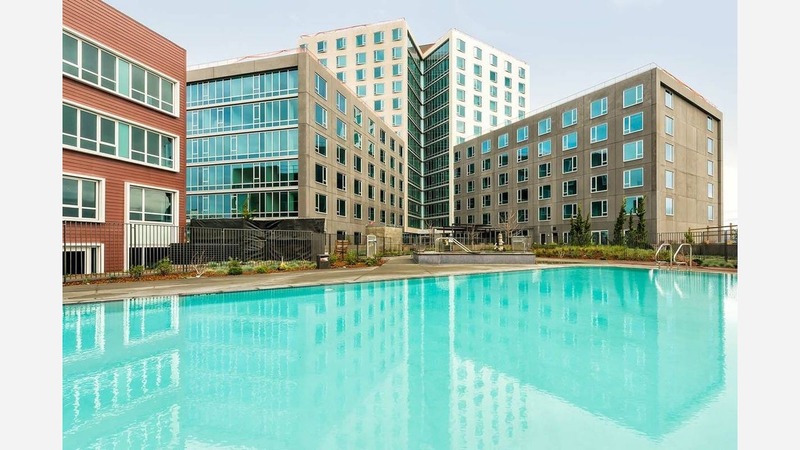 We took a look at local listings for studios and 1-bedroom apartments in Mission Bay via rental site Zumper to find out what budget-minded apartment seekers can expect to find in this San Francisco neighborhood. Listed at $2,999 / month, this studio apartment, located at 1201 4th St., is 11.1 percent less than the $3,375 / month median rent for a studio in Mission Bay. The building offers garage parking, a swimming pool, a fitness center, a business center, outdoor space and on-site laundry. In the unit, expect high ceilings, both air conditioning and central heating and a mix of hardwood floors and carpeting. Pet lovers are in luck: cats and dogs are permitted. This studio apartment, situated at 110 Channel St., is listed for $3,150 / month for its 500 square feet of space. In the unit, expect both air conditioning and central heating, hardwood flooring, a dishwasher, generous cabinet space, a walk-in closet and in-unit laundry. The building features a swimming pool, a fitness center, a business center, concierge service and outdoor space. Pet owners, inquire elsewhere: this spot doesn't allow cats or dogs. Here's a 1-bedroom, 1-bathroom condo at 100 Channel St., which is going for $3,595 / month. The building features a swimming pool, a roof deck, a fitness center, outdoor space and an elevator. In the unit, anticipate both air conditioning and central heating, hardwood flooring, a deck, a fireplace, in-unit laundry and a dishwasher. Good news for animal lovers: both dogs and cats are allowed here.